I was a bad kid in high school. I had a nose ring. I had pink and blue hair (at the same time). I wore ripped clothes to school…when I went to school, that is. In the strip-mall Hell that is the San Fernando Valley, there wasn’t much for bad kids to do at night, so we would often roam the aisles of Thrifty’s drug store, trying on make-up, looking at tchotchkes and snacking on their 99¢ ice cream cones. The cones tasted like sugary cardboard, the pecan praline like movie theater ‘butter,’ and the mint chip glowed verdantly. 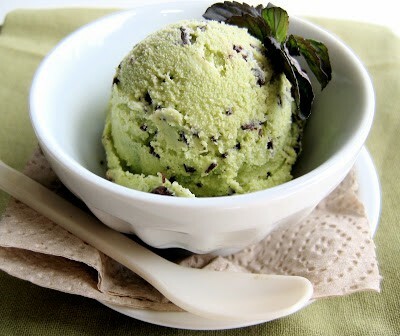 Many years later, long after I’d removed my nose – and then, eyebrow – piercings and my hair had returned to it’s previously scheduled auburn (I still wear ripped clothes, but mostly in the privacy of my own home), I made ice cream with fresh mint. I steeped the mint in the warm dairy, then cooked and chilled the custard and churned it up. Though it tasted fresh and herbaceous, I admit I was disappointed when the finished product remained ecru in color. The recipe suggested adding a drop or two of green food coloring if I was declassé enough to have a problem with that fact. But being older, wiser and anti-food (and hair) coloring, I thought I could accept a life of ivory-colored mint ice cream. But then I got a job in the pastry kitchen at Farallon, and I learned that I could have my green ice cream, and eat it without feeling (too) bad. The secret lay in the same technique that I’ve learned to use in order to prevent the basil in pesto from oxidizing. The mint was blanched briefly in boiling water, then shocked in ice water, before being pureed with the chilled ice cream base and strained. 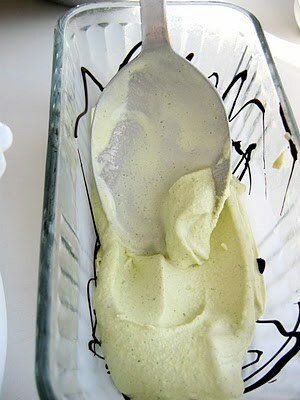 The result was an ice cream as minty in color as it was in flavor. At Farallon, we sandwiched tiny scoops of this iced green confection with quarter-sized fudgy chocolate cookies, and arranged them with a dozen other miniscule confections on tiered silver stands for an assortment of ‘petite sweets.’ Don’t tell, but I would often munch a couple during my plating shift; chocolate mint heaven. 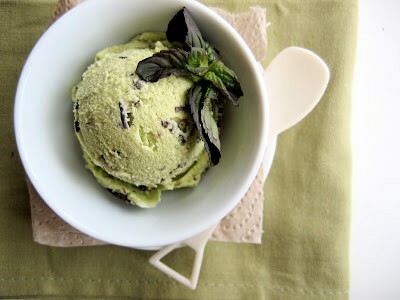 When I learned that there is a veritable variety of mint called ‘chocolate mint,’ I longed to get my hands on some to make chocolate mint chip ice cream. 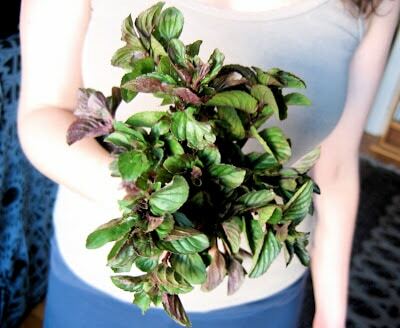 With burgundy-tipped emerald leaves, chocolate mint conveys all the cool freshness of the more familiar varieties, with a touch of warmth from earthy cacao undertones.The other day, when my green-thumbed friend let on that she had a barrel of chocolate mint thriving in her garden, I confessed to her my dream. And lo, a bunch of chocolate mint manifested itself at my door the very next day. I dug out Farallon’s recipe, which I’d jotted down before I left, and adapted the method to use myfavorite ice cream base. Remembering his handsome post on mint chip from last year, I consulted David L, my ice cream guru, for chocolate quantity and chip technique. I once made the stracciatella from his ice cream book, in which melted chocolate is slowly drizzled into the churning ice cream (I made the toasted hazelnut-milk chocolate from his book, and oh was it good). But for his recent mint chip recipe, David ‘scribbles’ the melted chocolate between layers of churned ice cream spread into a loaf pan. 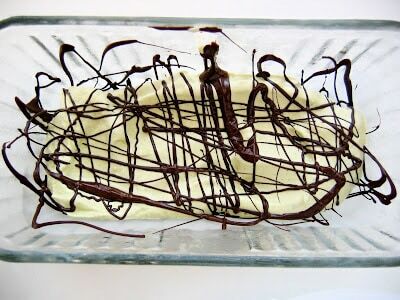 Since the stracciatella technique left quite a bit of chocolate on my dasher, I enjoyed the scribble technique. Plus, it enabled me to get in touch with my inner Jackson Pollock. And my inner bad kid, all at once. If you’re feeling extra bad, pair this ice cream with a gooey whiskey brownie, triple chocolate cookie, or chocolate bouchon cake. With burgundy-tipped emerald leaves, chocolate mint conveys all the cool freshness of peppermint with a bit of warmth from earthy cacao undertones.Like all mints, it grows like a weed (or so I’m told), but if, like me, you have less than 2-square-feet of outdoor space, and (unlike me, luckily) lack generous and green-thumbed friends, you may be able to find chocolate mint at a farmer’s market. Otherwise, substitute spear or peppermint; both will be delicious. Another soft herb, such as basil in any of its varieties (cinnamon, lemon, thai, or the standard Italian stuff) or lemon verbena, would likely work well, too (though I would omit the chocolate). Heat 1 cup of half and half in a medium saucepan over a medium flame until warm and steamy, and small bubbles form around the sides of the pot, swirling occasionally. Pour the heavy cream and remaining 1/2 cup of half and half into a large bowl and place a fine-mesh strainer over the top. Set aside. In a medium bowl placed on a damp towel for stability, whisk together the yolks, sugar and salt. Slowly drizzle the warm half and half into the yolk mixture, whisking constantly, then scrape the mixture back into the pot. Cook over low heat, stirring constantly with a heat-proof rubber spatula, until the mixture just begins to ‘stick’ (form a film on) the bottom of the pot, and/or reaches 170º on an instant-read thermometer. Immediately pour the custard through the strainer and into the cold dairy. Stir to combine, then chill the mixture in the fridge for at least 4 hours or (preferably) overnight, and up to 4 days. 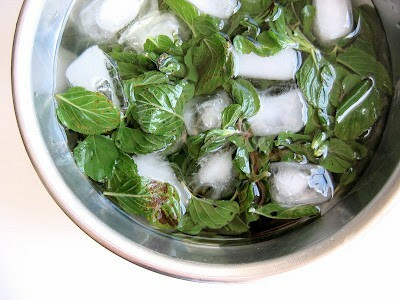 Pull the blanched mint leaves out of the ice water and squeeze dry. 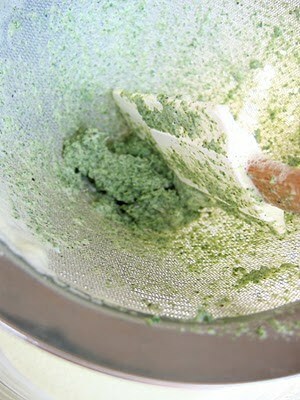 Place the squeezed-dry leaves in a blender. 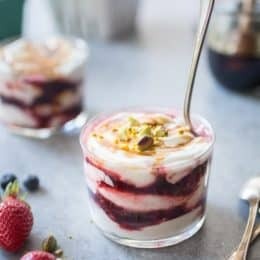 Add about a cup of the chilled ice cream base, and puree on low speed, gradually increasing to the highest speed, eventually pouring in the rest of the ice cream base. 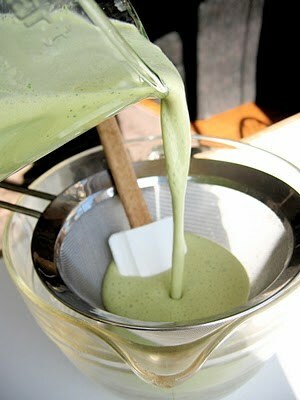 The mixture should be fairly smooth, frothy, and mint green in color. 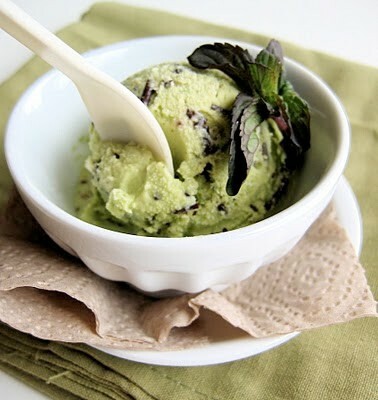 Strain the minty ice cream base through a fine-mesh strainer, and into a large bowl or measuring pitcher,pressing on the mint dregs to extract as much good stuff as possible. Place the mixture in the freezer for 20 – 30 minutes, stirring once or twice, to get the mixture really cold (the blending process generates a bit of heat). Process the well-chilled ice cream base in an ice cream maker according to the manufacturer’s instructions. 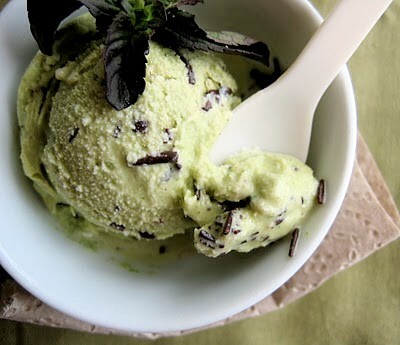 While the ice cream is churning, place the chocolate in a dry, medium-sized metal bowl and set over the pot of hot water from blanching the mint (above). The water should be steaming but not simmering or boiling. 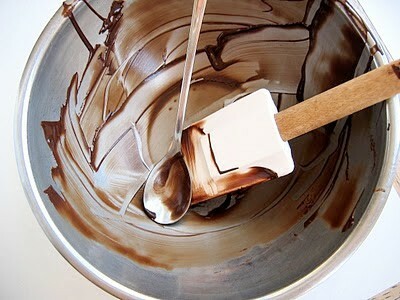 Stir the chocolate occasionally until completely melted. (Even a drop of water can cause chocolate to seize or clump up, so make sure the bowl and utensils are bone dry.) 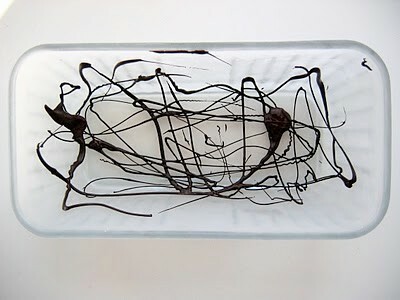 Hold the chocolate at a melted but cool temperature. Working quickly, scribble the bottom and sides of the chilled loaf pan with some melted chocolate, then spread a layer of ice cream over the top. (See photos in post, above.) Scribble more chocolate over the ice cream, and spread with another layer of ice cream. Continue making layers until you’ve used up all the chocolate and all the ice cream. 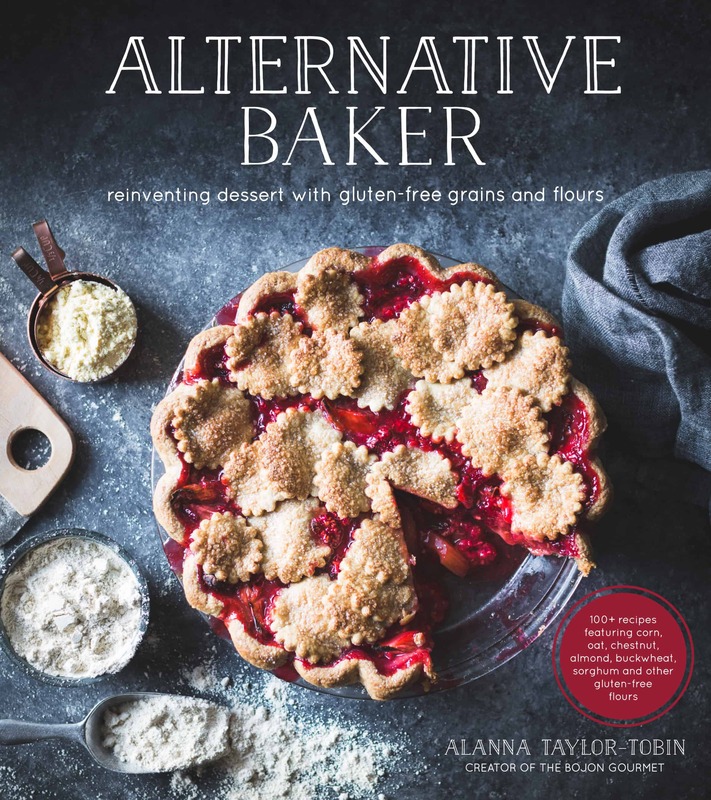 Cover the pan and freeze the ice cream for at least 2 hours for a scoopable consistency, and up to several months (though good luck with that one). I just found your blog and I am psyched! 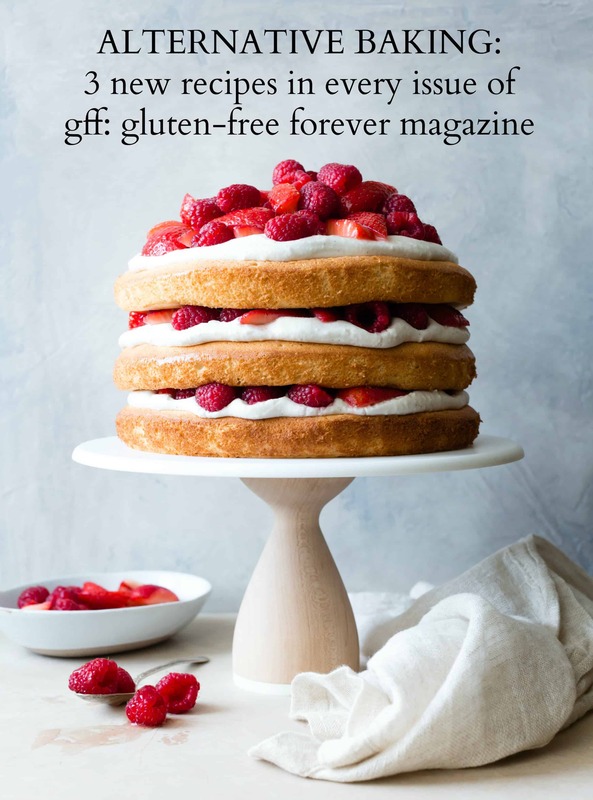 You have an amazing collection of recipes and your photos are gorgeous! 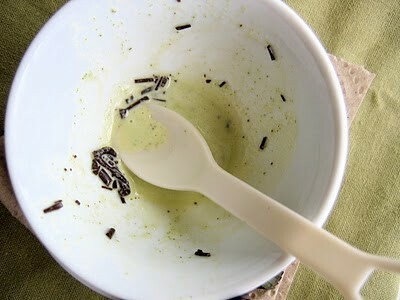 My caramelized fennel seed ice cream base is chilling right now – I'll bring some by, if it is deemed worthy of sharing. I'm making this today for my son's birthday on Saturday. Mint ice cream is his favorite, and I have Mojito Mint growing. Not quite chocolate mint, but I'm excited nonetheless! I did this method of "chocolate Pollack" in plain vanilla ice cream after reading this in April, and I never knew that was how (easy) stracciatella is borned. I thank you now on two counts! Chocolate Pollack – brilliant. 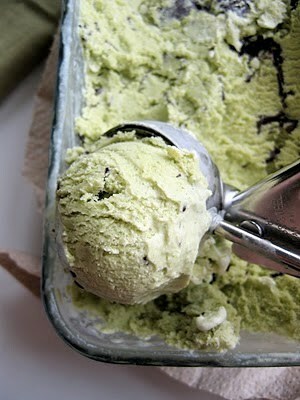 I hope the mojito mint chip ice cream turned out well, and I wish a very happy birthday to your little one! Thanks, it's churning right now, and tastes great. I actually didn't even need to strain it since I have that Vitamix – the bits were amazingly microscopic. I'll have to take a pic! I envy you your Vitamix, and I'd love to see a picture! 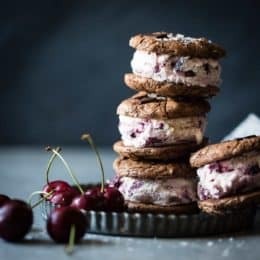 So .. Last week we made your Bourbon Roasted Cherry Ice Cream (cherries are now plentiful in Michigan) … After enjoying that … We made your Chocolate Mint Ice Cream last night. Thank you for taking me past the David L plateau! Your directions are great – your logic and reasoning makes for a better understanding of the whole creative process. And (lastly) .. The taste and presentation! 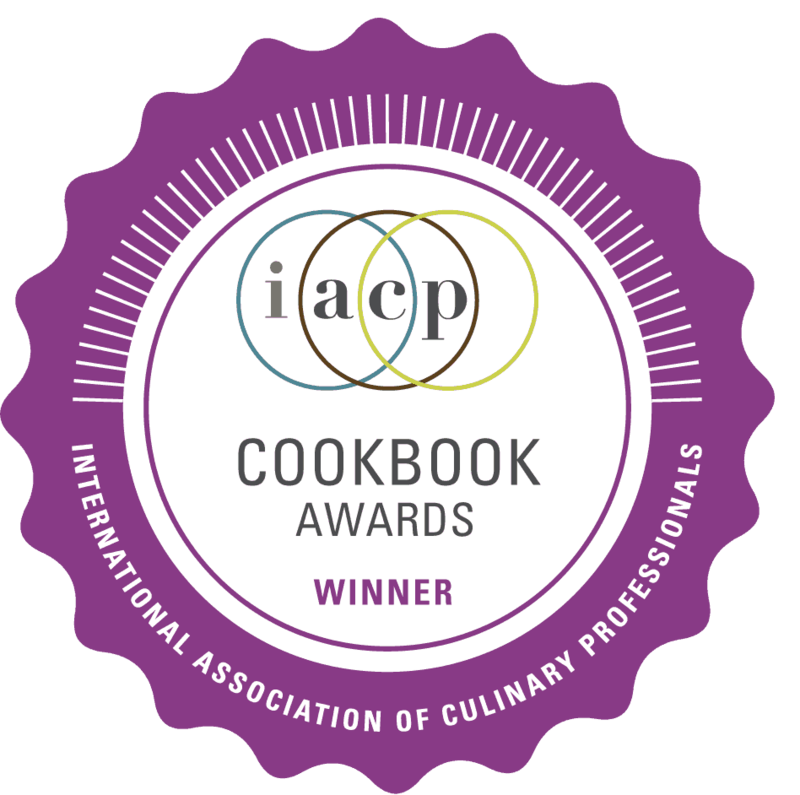 I sent your link to all of my Ice Cream Making Brothers and Sisters! no .. Thank You!!! Now getting ready to try the Irish Coffee recipe. As we head into Autumn – looking forward to the Pumpkin. Have you given thought to a good Curried Raisin ice cream? Something along the lines of a kulfi? 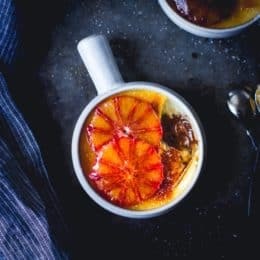 Accchhh … had the Irish Coffee all planned out – now I see the Banana Butterscotch recipe – I know where my wife will push me! This will be a Wednesday task! (bananas already aging). Alanna – you are "the Bomb"!!! Curious … have you ever tasted Ron Zacapa rum? It's 23 yrs aged – has this incredible deep Carmelly flavor that you would not expect and seems to flavor well in recipes. Hi there! Acchhh – you might have to make 2 kinds of ice cream. Oh the horrors! ;) Seriously, though, thank you for the kind words! I've seen Ron Zacapa, but I'm not sure if I've ever tried it. Some friends of mine brought back a couple of incredible rums from a trip to South and Central America once, and that may have been one of them. I will check it out, in any case – thank you for the tip, and good luck with the ice cream(s)! Hey, I made this yesterday and the taste is amazing, however the texture of the ice cream is very icy. I’m using a cuisinart ice cream maker and it was in the freezer for 24h before this, and I left the mixture in the fridge for 6h before churning, but after 30min in the machine it was still quite liquid. Maybe you could help me figure out what wrong?